In sales, it all comes down to building strong relationships. The Autoklose contact management functionality allows you to handle your sales development effectively. Equip your sales reps with the right tools and relevant information about the people and organizations they want to engage. Autoklose places everything they need at their fingertips and makes it accessible directly from the dashboard. 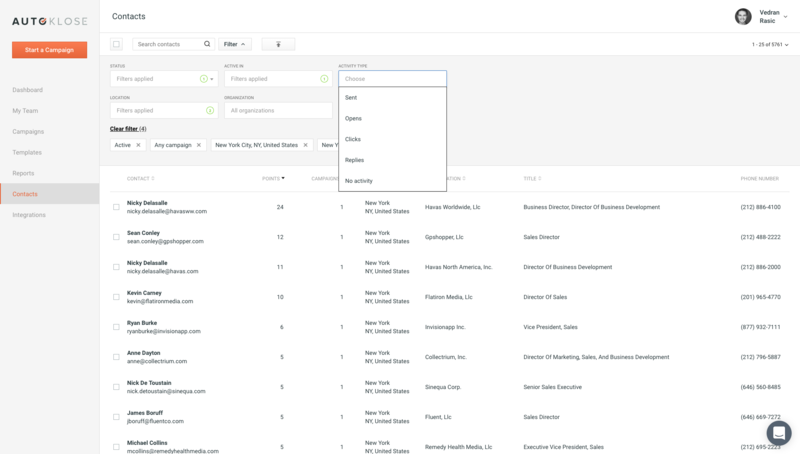 Kick-start your new campaign easily with the help of our powerful filters and sort your contacts into smaller segments for optimized outreach. Forget about making educated guesses and throwing darts in the dark. 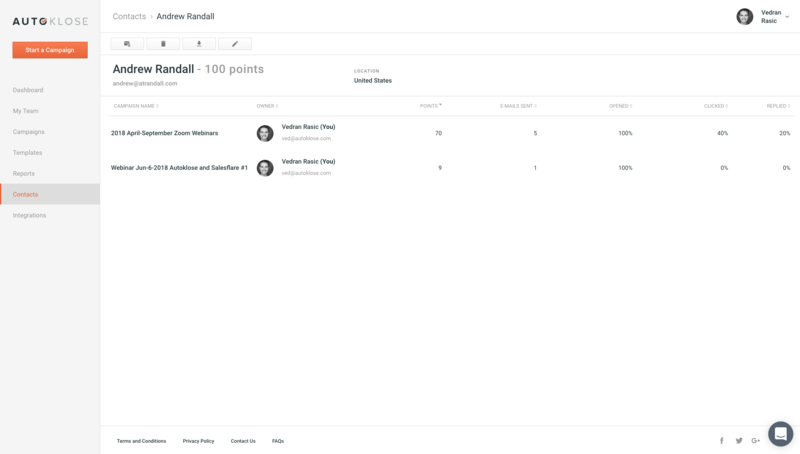 With the Autoklose prospect management solution, you can easily update prospect records, add prospects to different sequences, and send better, more personalized emails. 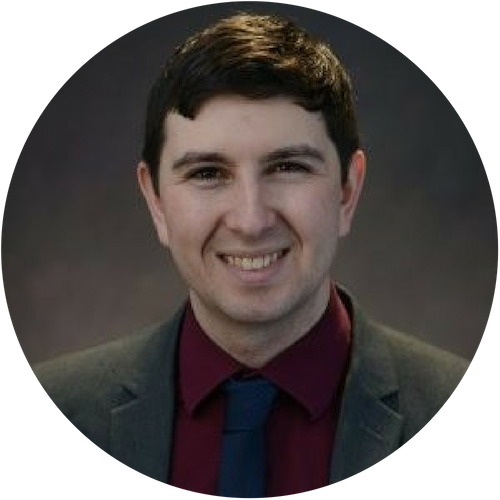 A clear perspective of your past engagement with all your sales prospects will provide you with a valuable insight into how to fine-tune and improve your future interactions. Lead management is essential for successful Klosing. 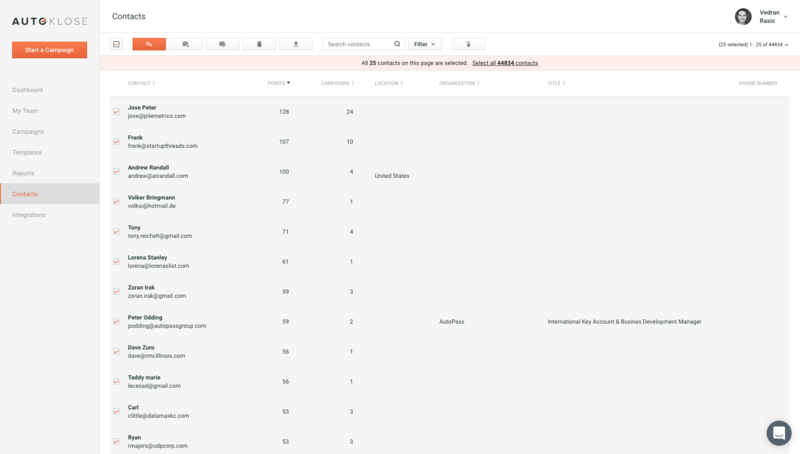 Use our proven engagement formula to uncover who should have all of your attention by sorting your contacts with the help of Autoklose Lead Scoring. Don’t insult your prospects by sending out bland, generic, and uniform email blasts. 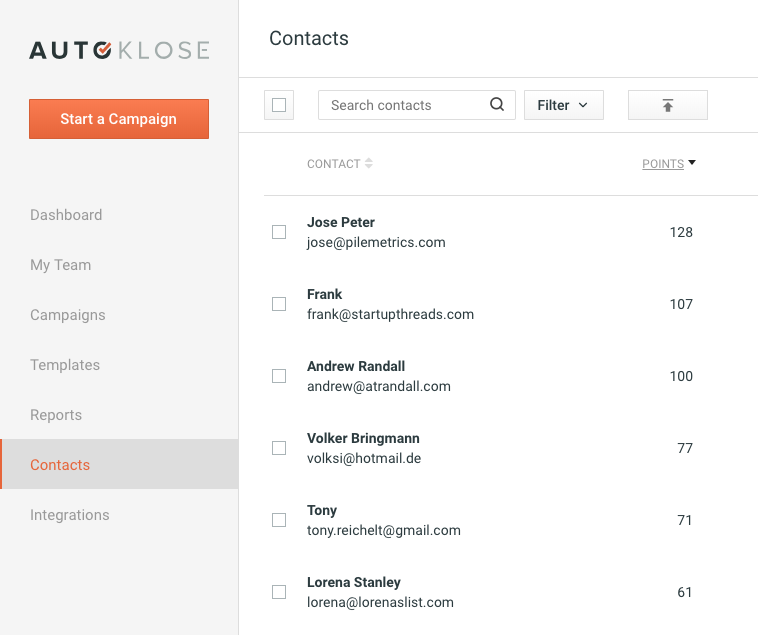 Use various Autoklose Contact filters to create more engaging, custom campaigns. 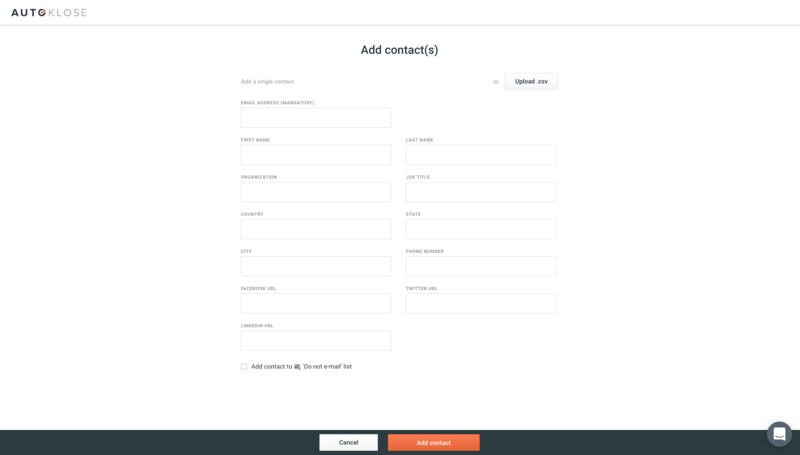 Bulk add your contacts by uploading .CSV files or add individual contacts manually. Make the most of using different contact sources for your campaigns.